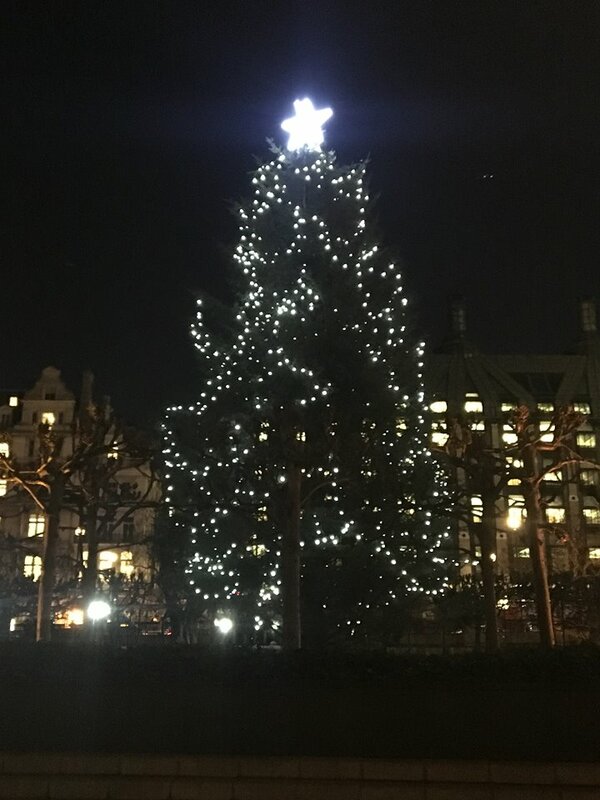 As 2017 comes to an end, there is much to reflect on in what has been an incredibly busy year in the Hexham constituency. I am extremely grateful to have been re-elected as MP for Hexham and I am continuing to campaign and work hard for the people of Tynedale and Ponteland, travelling to all corners of the constituency and meeting as many residents as possible. This year Northumberland Conservatives achieved the goal of taking control of Northumberland County Council following local elections in May. I look forward to working with our councillors to deliver great results for Northumberland in the coming year. My biggest campaign success of 2017 was undoubtedly securing the reopening of overnight care at Hexham Hospital, having been closed for nine months. After many meetings with the Health Trust, doctors and nurses, I was delighted that our hard work paid off. 2017 saw the launch of my Hexham Constituency Community Champion Awards, which recognise the extraordinary achievements of people in communities across the Hexham constituency. Alicia Armstrong, a leukaemia survivor who has since set world records at swimming at the World Transplant Games was awarded Community Champion of the Year, and I look forward to meeting more inspirational members of the community in 2018. My third annual Tynedale Jobs Fair was another highlight of 2017, and I was especially pleased to hear from people who had found a job following the event- a great success! I am looking forward to another busy year in 2018 with many more successes for Tynedale and Ponteland. All that remains is to wish you all a very happy New Year and a wonderful 2018. 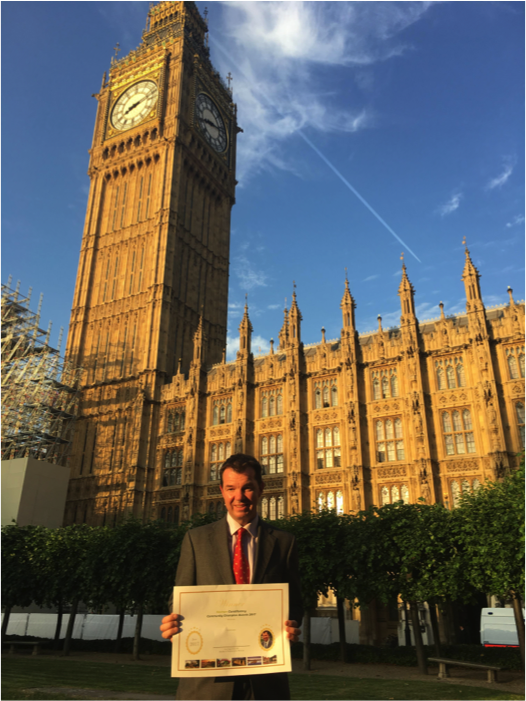 In 2017 I started my Hexham Constituency Community Champion Awards, with the aim of recognising the achievements of people in communities across the constituency. Throughout the year I have had the honour of meeting some of the inspirational award winners to thank them for their contributions to our community. Community Champion of the Year was awarded to Alicia Armstrong, a leukaemia survivor who has since set world records at swimming in the World Transplant Games. Alicia is also an ambassador for organ donation, and I was delighted to welcome her and her mother Maria to Westminster recently. David Kirsopp was nominated for his decades of service to Haydon Bridge United AFC, following in the footsteps of his father and grandfather. I met with David and his wife Avril at the football club and really enjoyed being shown the fantastic facilities they have at the club. 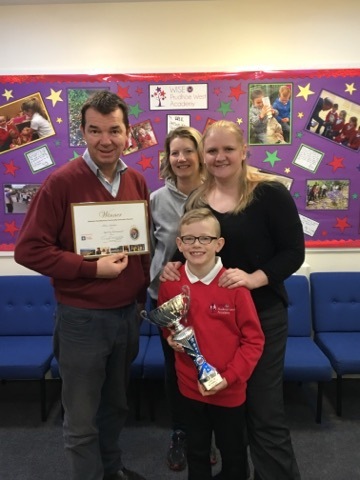 I also met Alan Bland who has raised £700 in aid of the Great North Air Ambulance by taking part in car rallies, and nine year old Josh Newton who was crowned Under 8 Champion at the Scoot Sport GB National Finals as part of Scoot Fest. 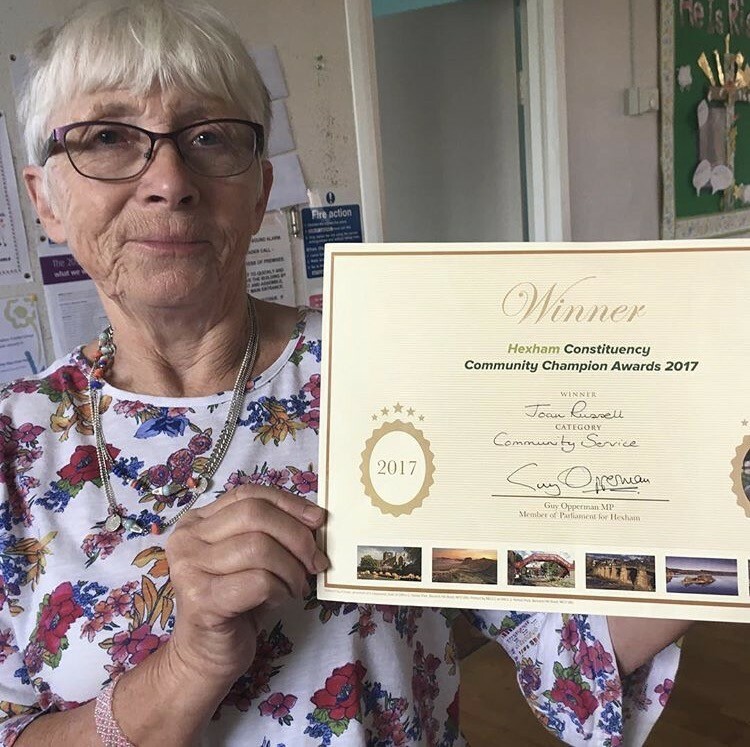 Other winners include Joan Russell, one of the founders of the Prudhoe Community Allotment, Thelma Brown for her service to the Brownies and Guides, and Evelyn Weightman who founded the Northern Head and Neck Cancer Fund. My heartfelt thanks to each and every one of our winners, and of course to Gareth Jones of RedHot Property for so kindly sponsoring the awards. If you would like to nominate someone for an award, please do get in touch and let me know! As 2017 comes to an end, there is much to look back on and celebrate - none more so than the news that 2017 was Britain's greenest ever year. 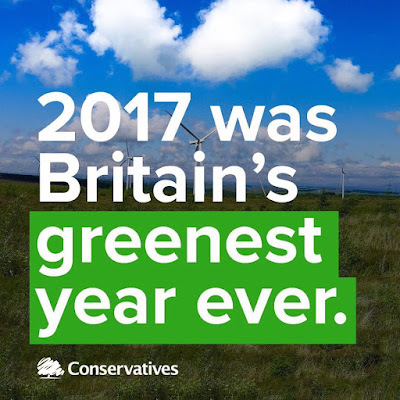 13 new green records were set in 2017 for Britain's power sector, thanks to a move towards renewable energy, rather than coal. Among other achievements 2017 saw record low levels of carbon pollution from electricity, the UK's longest period without coal generation (40 hours 35 minutes) and Britain's greenest ever summer with 52% of electricity generated from low carbon sources from 21st June-22nd September. The government has set a target of phasing out unabated coal by 2025 to cut the UK's greenhouse gas emissions, and with such important strides being taken towards making the UK greener than ever, 2018 promises to be even better yet. There is much still to be done, but I am pleased that this Government is committed to building on the good work already done. I am so pleased that Acomb Youth Club has been given a £1500 funding boost, raised by members of the Meeting of the Waters Lodge of the Royal Antediluvian Order of Buffaloes who chose the Youth Club as its charity of the year for 2017. 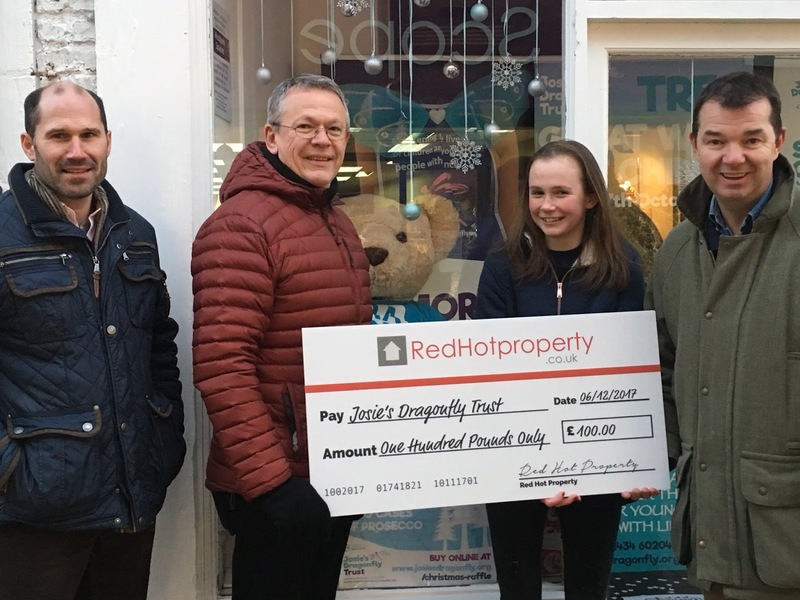 RAOB members support the aims of charity, philanthropy and brotherhood and carried out fundraising throughout the year to support the Youth Club, which was started three years ago for children aged over eight by Hexham Youth Initiative and Acomb Parish Council. It is hoped that the money will be used to launch a seniors session for local teenagers and to fund outings in 2018. It is always great to see members of the community coming together to support each other, and I hope that this funding will help to make 2018 the best year yet for Acomb Youth Club. 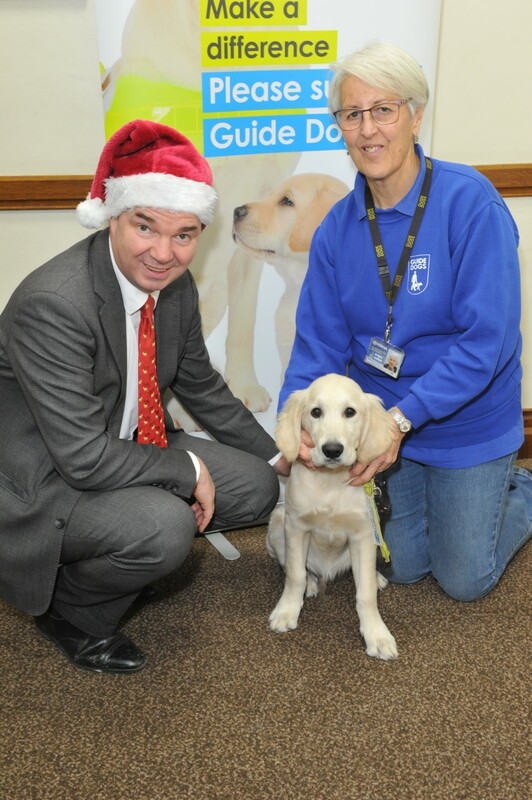 It was a pleasure to attend a Guide Dogs event before Christmas where I met volunteer Linda and Barnaby. Nearly two million people in the UK are living with sight loss, and around 180,000 rarely leave their homes alone, suffering from depression and isolation. Guide Dogs provide people with sight loss support to be able to live their lives in the way they choose, and one of the ways they do this is through their world-famous guide dogs. They also campaign on three key issues: stopping people with assistance dogs being refused access to services, places and vehicles, making audio visual announcements compulsory on new buses, and ending pavement parking. Guide Dogs do such important work, helping to improve the lives of people living with sight loss. I really enjoyed meeting Linda and Barnaby, and I encourage you to learn more about the Guide Dogs and their work. I hope that you all had a great Christmas and are enjoying Boxing Day. Do you know where the tradition of Boxing Day comes from? It is thought that Boxing Day was traditionally a day off for servants, and on this day their master would give them a Christmas Box to thank them for their service throughout the year. The servants would then return home to their families and give them the Christmas Box, containing gifts, leftover food and money. Today though Boxing Day is traditionally a day to spend with family and friends, and I wish you a wonderful day however you plan to spend it! I would like to wish each and every one of my constituents a very happy Christmas and a healthy and prosperous 2018. Oh yes it is! Oh no it isn’t! Hexham's Queen's Hall is getting ready to host four performances of the Young Farmers' pantomime, Beauty and the Beast, on what will be its 30th anniversary. 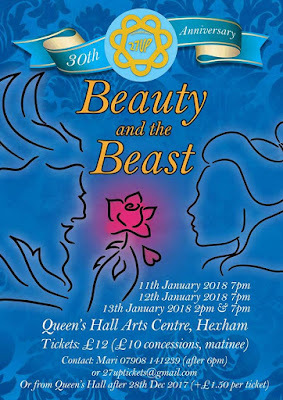 Since 1988, the 27UP group of the Young Farmers- this year called 30UP- have put on an annual pantomime to raise funds for the organisation, and this year looks set to be yet another sell-out. The profits will all go to the Northumberland YFC, paying for travel to competitions and insurance. Cheers to our brilliant local breweries! With so many outstanding pubs and local beers in Northumberland, it is no surprise that six Tynedale breweries have been featured in The Great North East Brewery Guide. Allendale Brewery, Hexhamshire Brewery, Wylam Brewery, High House Farm Brewery in Matfen, Muckle Brewery in Haltwhistle, and Twice Brewed's Brew House in Bardon Mill are all featured in the guide, which celebrates local beer across the North East. Independent brewing is becoming ever more popular in Northumberland, and it is great to see some of our area's best brewers celebrated in this new book. With information about the history, beers and methods of each brewery, the guide really is the perfect Christmas gift for fans of local beer. And with so much choice available in our region, why not discover a few new local beers for yourself this Christmas?! 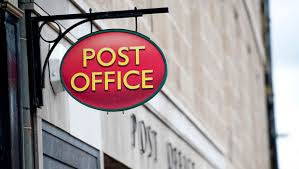 The Business Secretary, Greg Clark, has this week announced £370 million of funding to secure the future of the Post Office network, bringing the total amount invested since 2010 to £2 billion. This new funding will be used to extend opening hours, cut queue times and protect rural branches and so this announcement is great news for the Hexham constituency's village branches, ensuring that everyone will continue to have access to their local branch. Post Office branches are at the heart of our local communities, and with the Post Office having moved into profit for the first time in 16 years and branch numbers at their most stable for decades, the future is looking bright for the Post Office. This week Parliamentary Under Secretary of State for Environment and Rural Life Opportunities Therese Coffey officially signed into law a ban on the use of microbeads in the UK which will come into force on 9th January. Microbeads are tiny manufactured plastic particles that are used in products such as exfoliators and toothpastes, and every day millions of microbeads wash into our rivers and seas. They are often eaten by sea life which is incredibly harmful as fish, sea birds and other sea life cannot digest microbeads. 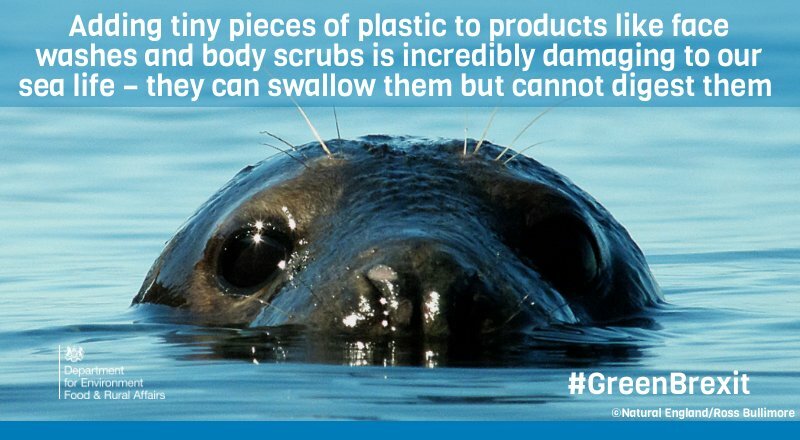 This ban on microbeads is one of the strongest in the world and is part of plans by the Environment Secretary to reduce our plastic waste that is polluting our oceans. I am so pleased that this ban on microbeads will soon be a part of UK law, and I welcome this sign from the government that the UK is leading the way on protecting our sea life. 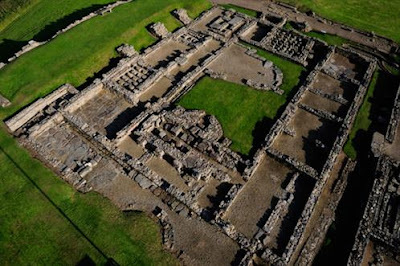 With less than one week to go until Christmas Day, why not get yourself into the Christmas spirit by watching one of the most loved Christmas films of all time, which also has a surprising connection to Northumberland? 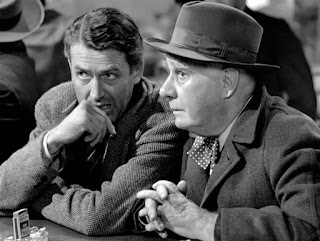 Frank Capra's 1946 classic, It's a Wonderful Life, starring James Stewart, also features Prudhoe-born actor Henry Travers who plays guardian angel Clarence. He grew up in Berwick and trained as an architect before moving to the USA in 1917 where he worked on Broadway and was nominated for an Oscar for his role in Mrs Miniver. This fascinating piece of Northumberland film history is commemorated with a plaque dedicated to Travers in Prudhoe town centre. The plaque includes his famous line from It’s a Wonderful Life, ‘Every time a bell rings, an angel gets his wings’, as well as the words ‘Our very own angel born in Prudhoe’. So this Christmas when you sit down to watch It's a Wonderful Life, look out for the Northumberland-born actor who created one of the most iconic characters in film history. One of my highlights of 2017 was the success of my third annual Tynedale Jobs Fair. Nearly 50 businesses and employers were there looking to recruit, and I recently met Jackie Bell who has been offered full-time employment at the Beaumont Hotel in Hexham after completing her work placement with the Returneeships scheme who attended the Jobs Fair. I went to the Beaumont Hotel to meet Jackie and hotel owner Roger Davy, and it was great to see for myself one of the success stories of the Jobs Fair. Jackie joins Helen Walker who also gained employment at the Beaumont after attending the Jobs Fair in September. Returneeships is a pre-employment project aiming to boost employability skills among people over 40 to help them return to work and run by Northumberland based Release Potential. It is a fantastic scheme, aimed at helping older workers return to work, and I would strongly encourage you to consider the Returneeships programme if you are looking to return to work- like Jackie you could find yourself back in full-time employment! After his brilliant achievement receiving a nomination for a Historic England Angel Award, local resident Kenny Brunskill has gone one better and was last month named as Best Craftsman or Apprentice on a Heritage Rescue or Repair Project for his work to repair the Corbridge Bottle Kilns. 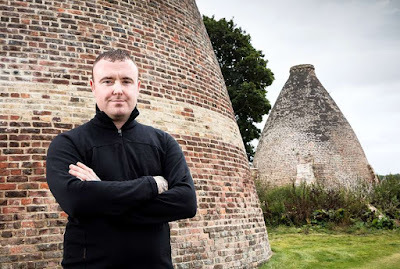 The Corbridge Bottle kilns were built in the early 19th century and are one of the only remaining examples of a Tyne Valley rural pottery. Kenny, a mason, has carried out vital repairs to the buildings, including repointing and brick replacement, and was commended for his enthusiasm, work ethic, maturity and skill. 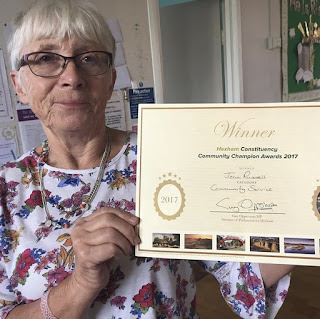 The Angel Awards are run by Historic England and were founded by the Andrew Lloyd Webber Foundation with the aim of celebrating local volunteers and groups who make a lasting difference to their local heritage. Congratulations to Kenny on his award. 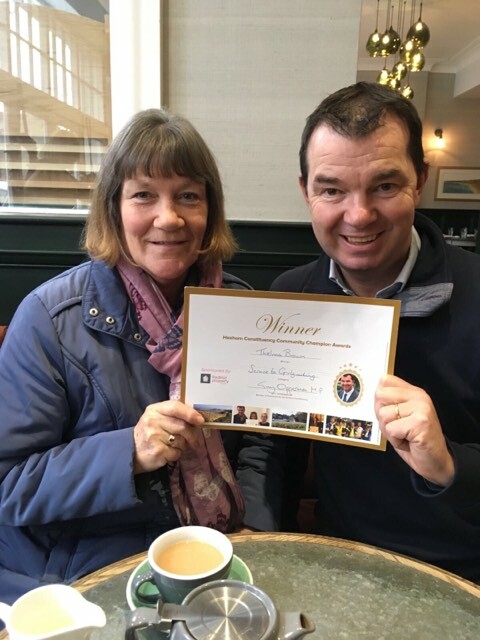 Earlier this week I had the pleasure of presenting Thelma Brown from Hexham with a Hexham Constituency Community Champion Award. Thelma runs a Brownie unit and a Guide unit at St Aidan's Church in Hexham, and although she is handing over the Guide unit, she will be continuing to run the Brownies and with her roles within Northumberland County Girl Guiding. Thelma has been involved with the Brownies since she was 7 years old and with the Guides since 11, and began her involvement at St Aidan's Church in 1992. Thelma's dedication to the Brownies and Guides in Hexham is wonderful and I am delighted to have been able to recognise the role she plays in our community. Thank you Thelma for your hard-work and service over many years- a true community champion. The seat of government- why not visit in 2018? Every year hundreds of Hexham constituents take the opportunity to come to Westminster and take a tour around Parliament, and you can too. 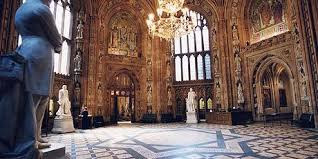 Constituents, families and school groups are all very welcome - the chance to see the historic buildings, including Westminster Hall, Central Lobby and, (when Parliament is not sitting) inside the Chamber, is something very special. 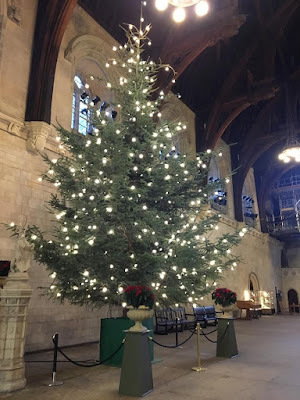 A tour of Parliament is something that is on many bucket lists and if you would like to take this opportunity next year, please get in touch with my office to arrange a visit - it's well worth a trip! My 2017 Christmas card is currently being sent out around the constituency, and last week I was joined by my competition winner Brooke Foster, a pupil at Prudhoe Castle First School who designed the Christmas card, and her family to see the decorated Kielder Christmas tree in place in Westminster. We were also joined by representatives of the Forestry Commission who have allowed us to be part of the Kielder tree's journey this year and one of the competition sponsors, Alan Ferguson of Ferguson Removals. Well done Brooke and I am looking forward to next year's competition already! 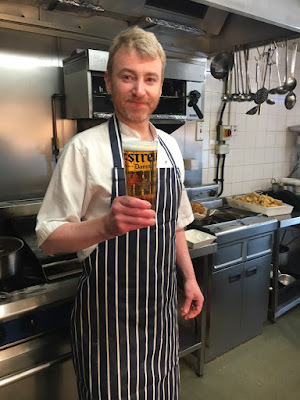 I am so pleased that my nominee for Parliamentary Pub Chef of the Year, Kevin MacLean of The Rat Inn, Anick, has been shortlisted as one of four national finalists. The competition is searching for the country's most talented pub chefs and Kevin is now down to the final four after a panel of judges selected the best entries from more than 130 nominations. Kevin will next take part in a cook-off event in London in January and the winner will be announced the following month. 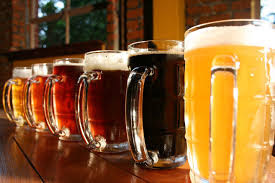 The competition is run by the British Beer and Pub Association and the All Party Parliamentary Beer Group in partnership with Nestle Professional. Pubs are an incredibly important part of the local economy and community, and The Rat Inn is a particular favourite of mine. I am delighted that Kevin has been recognised for the wonderful food that the Rat Inn is famous for. 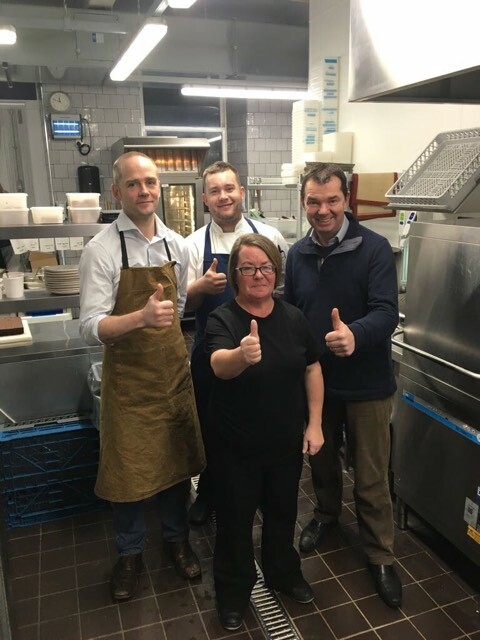 I wish Kevin the best of luck at the cook-off and have no doubt that he will do himself, The Rat Inn and the Hexham constituency proud. If you're 18-25 years old, Cheeseburn Sculpture want you to apply for the third Gillian Dickinson North East Young Sculptor of the Year competition. 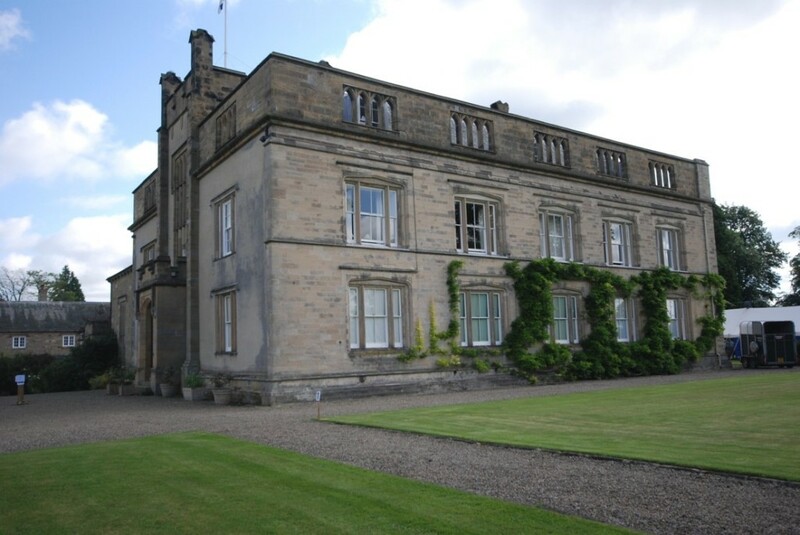 The award is an annual award of £6500 to encourage new talent and to support the early careers of young North East artists, providing a professional showcase at Cheeseburn and helping them begin their professional career. and email it to info@cheeseburn.com along with up to six images of your current work. Arts and culture are vital parts of any community, and I hope that any aspiring young artists in Tynedale and Ponteland will take this brilliant opportunity. You never know, your work might be on show at Cheeseburn in the future! There is fantastic news for the North East as VisitBritain, Newcastle Airport and NewcastleGateshead Initiative have announced a partnership to promote the region to overseas visitors. The aim of the partnership is to encourage more visitors to come to the North East and explore our culture and heritage over the course of three years. The initiative will target visitors from Germany in its first year, with direct flights from Berlin to Newcastle making the North East an attractive destination. Northumberland Tourism are one of several organisations involved with the project, which will hopefully showcase the North East as a great destination for international tourists, improving the economy and the tourism industry in the area. Next year’s Great Exhibition of the North will also play a significant role in encouraging international tourists to visit the region, with exhibits, performances, culture and much more hopefully promoting the North East to a wider audience. We know that the North East is a wonderful place to live and visit- this partnership will make sure everyone else knows too! Winter is well and truly under way, meaning that it's now more important than ever to prepare your home for the cold months ahead. This week my sixth annual Energy Guide, produced in association with Calor, will be posted out to thousands of homes across the constituency, giving you advice on how to make your home more energy efficient and to get the best deal from your energy supplier to keep your energy bills as low as possible. I was pleased to meet with Reverend Canon Doctor Dagmar Winter to launch it this week. We get so much confusing advice about how to make our homes energy efficient whilst keeping energy bills down so I hope that my Energy Guide will be useful to you this winter, giving you all the advice you need about preparing your home for winter. If you haven't got your free copy of the Energy Guide and would like to get hold of one, please contact my constituency office. It was great to join the Hexham Constituency Community Champion of the Year, Alicia Armstrong, to present her chosen charity, Josie's Dragonfly Trust, with a cheque for £100. The donation was part of Alicia's prize and will help to support young cancer patients and their families. Thank you to Gareth Jones of RedHot Property who kindly sponsor the awards for joining us yesterday- Josie's Dragonfly Trust are a wonderful charity and I am delighted that Alicia chose to give her donation to them. Well done to Alicia and Josie's Dragonfly Trust, who both make such fantastic contributions to our community. 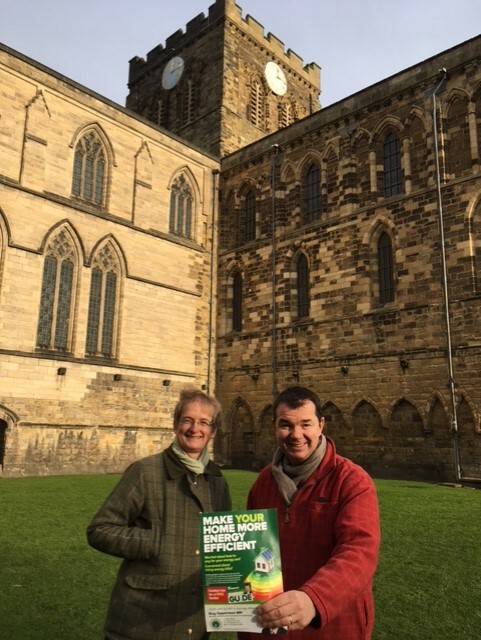 I was pleased to meet with Corbridge Parish Councillor Melvyn Stone and County Councillor Nick Oliver recently to discuss the formation of Tynedale Dementia Action Alliance and the launch in January of Dementia Friendly Hexham, and to offer my full support. Tynedale Dementia Action Alliance exists to transform the quality of life for people living with dementia and for their families and friends across Tynedale. Amongst many others, objectives include raising awareness of the needs of those living with dementia, to encourage commitment from organisations to become Dementia Friendly and to develop a successful Regional Alliance for Tynedale. Melvyn was the driving force over a number of years in turning Corbridge into the County’s first Dementia Friendly Village, with more than 400 ‘dementia friends’ trained to recognise those living with dementia and help them to live full lives. 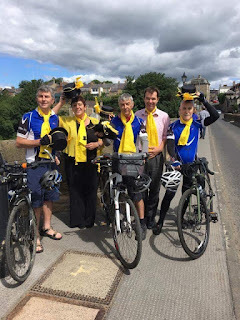 Many Corbridge businesses display ‘dementia friendly’signs in their windows, and there is a regular ‘Memory Cafe’ at Corbridge Village Hall, as well as organised activities. 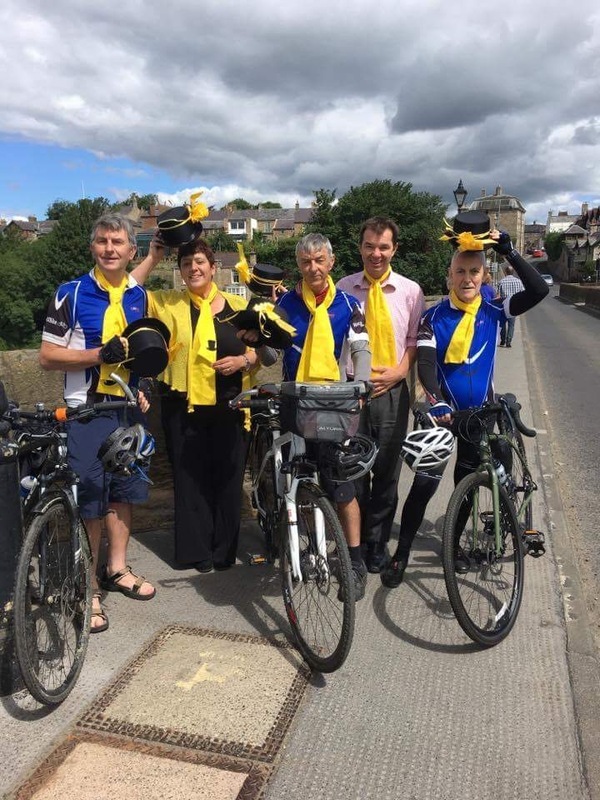 Not content with his success in Corbridge, Melvyn and others are now rolling out the programme across Tynedale - with the Hexham Courant pledging their support and committing to become a ‘Dementia Friendly’ newspaper. I’m grateful to Melvyn and all those who help and support him in his work to improve the quality of life for dementia sufferers and their families. Thank you Melvyn. The Countryside Alliance Awards, nicknamed the 'Rural Oscars', honour the skills, produce, tradition, enterprise and people who do outstanding work and make a difference in their local community, and I'm delighted to hear that two finalists at this years awards are based in the Hexham Constituency. The Blagdon Farm Shop in Seaton Burn is nominated in the local food/drink category, and in the butcher category WMH Farm Fresh Meats in Haydon Bridge is nominated. 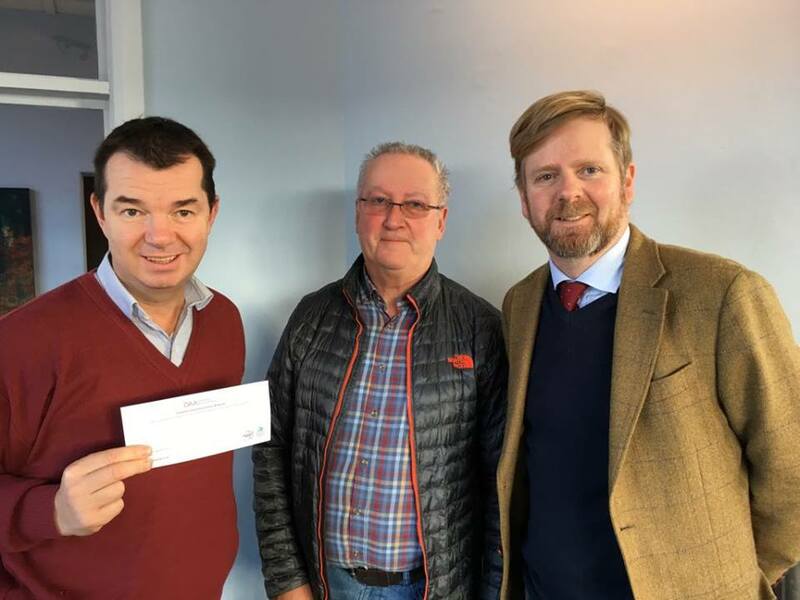 It's great to see local businesses recognised at a national level for the invaluable role they play in our rural community and I wish both businesses the best of luck when the winner of each category is announced in March. 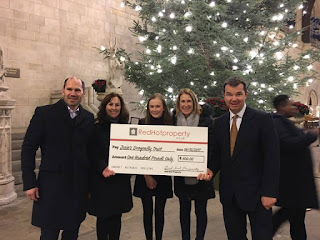 Yesterday I had the pleasure of welcoming my Hexham Constituency Community Champion of the Year Alicia Armstrong and her mother Maria to Westminster Hall, together with Gareth and Fiona Jones of RedHot Property who so kindly sponsor the awards. Alicia is a leukaemia survivor who has since set world records at swimming in the World Transplant Games. She is also an ambassador for organ donation and her achievements are truly inspirational. Part of Alicia's prize was a donation to her chosen charity, Josie's Dragonfly Trust which supports young cancer patients and their families. Congratulations to Alicia- a very worthy winner and a wonderful member of our community. Protecting the environment is one of the most important issues facing us today, and so I welcome the Environment Secretary Michael Gove’s announcement last month that he is backing new restrictions on pesticides that have been shown to be harmful to bees. 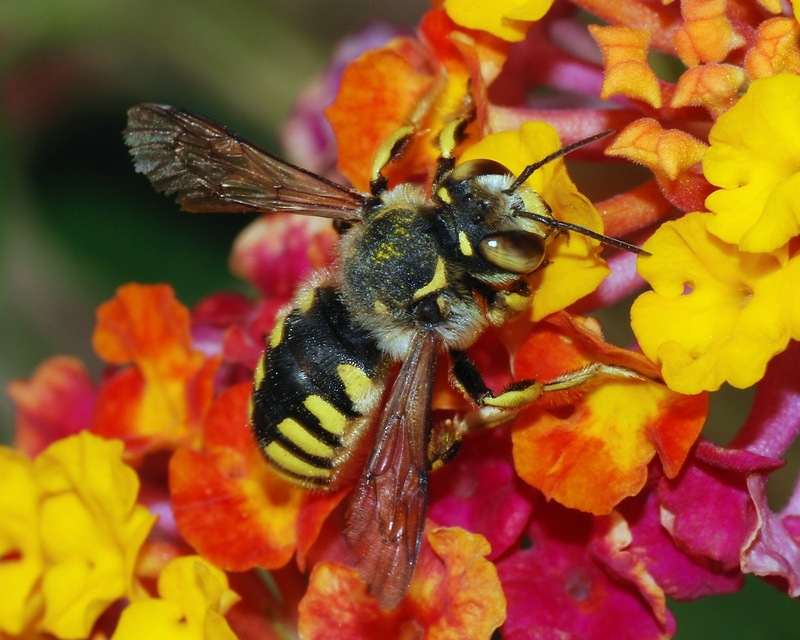 Scientific evidence continues to show that neonicotinoid pesticides are harmful to bees and other pollinators and consequently they endanger the whole ecological system of our planet, so it is great news that the government is taking action to save our pollinators. 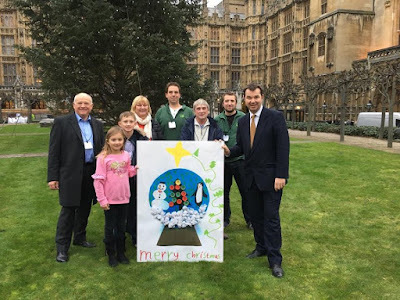 The move has been praised by Friends of the Earth and I am pleased to see the government listen to experts to ensure that we protect the planet for future generations- it is our responsibility. We all love a cup of tea, and so it is great news that Northumberland Tea has agreed a deal with the Co-op to sell the product in sixty of its stores across the North East. Northumberland Tea was only launched four years ago by Corbridge-based Bill and Helen Logan, so this is a fantastic achievement and a huge development for the company. A donation from every pack of Northumberland Tea sold also goes to the Sir Bobby Robson Foundation, meaning that not only is the deal brilliant news for the company, but it is also a wonderful way to raise money for a great charity. 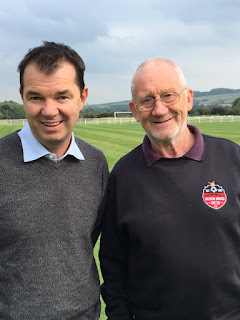 Northumberland Tea celebrated the deal earlier this week along with World Cup winner and honorary ambassador for Northumberland Tea Jack Charlton, and with Northumberland tea now being sold in stores all over Northumberland, there certainly is a lot to celebrate! I look forward to seeing Northumberland Tea in Co-op stores very soon- it’s good to see local products on sale in major stores in the area.